You hear forest fires are raging across land on an Indian Reservation, threatening the lives, homes and communities of hundreds of Native American families. What is your response? a. You search through the Internet and the news for more information. b. You send an email to friends and family alerting them to the crisis. c. You volunteer to help or donate to one of the organizations already responding. What do you believe to be the most important factor needed to raise Native Americans out from under the poverty many living on reservations endure every day? b. Organize sustaining industry to provide employment opportunities. c. Make sure community support groups are available. If you could sit down and have lunch with just one of the following three notable Native Americans, who would you choose? a. Chief Joseph, chief of the Wallowa band of Nez Pierce Indians, whose resistance to his people’s forcible removal from their homelands to a smaller reservation in Idaho has earned him a reputation as a great peacemaker and whose famous surrender speech includes the line "I will fight no more forever." b. Sitting Bull, about whom his friend Catherine Weldon wrote "The great hope and purpose of his life was to unify the tribes and bands of the Dakotas and hold the remaining lands of his people as a sacred inheritance for their children." c. Sherman Alexie, famous Native American author, who was reading Steinbeck by age five, was the first of his tribe to graduate from college, and about who’s writing the New York Times Book Review has said "These spare, disturbing stories trace with stark, lyric power the experience of American Indians in the modern world." 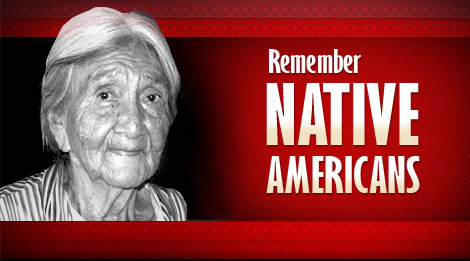 What motivates you to improve the lives of Native American families struggling to make it day to day? a. It is wrong that Native Americans have been ignored for generations. I want to make a difference. b. I don’t like to see others suffer and feel that Native Americans have been forgotten for much too long. c. I know about all the broken promises made to Native Americans and feel strongly that as a nation we should be more knowledgeable about our history. What aspect of Native American culture do you believe is most important for society to reconnect with? a. Community. In our fast paced, me first world, we’ve forgotten how to slow down and connect with our families and neighbors, and care for those members of our community who are less fortunate than us. b. Ecology. The Earth doesn’t belong to us, but we belong to the Earth, and we need to protect and nurture it so that future generations have the same opportunities to thrive on this wonderful planet. c. Wisdom. In the information age, it can be hard to remember that more information isn’t always better, and that the road to true wisdom is found through contemplation and looking inside oneself.